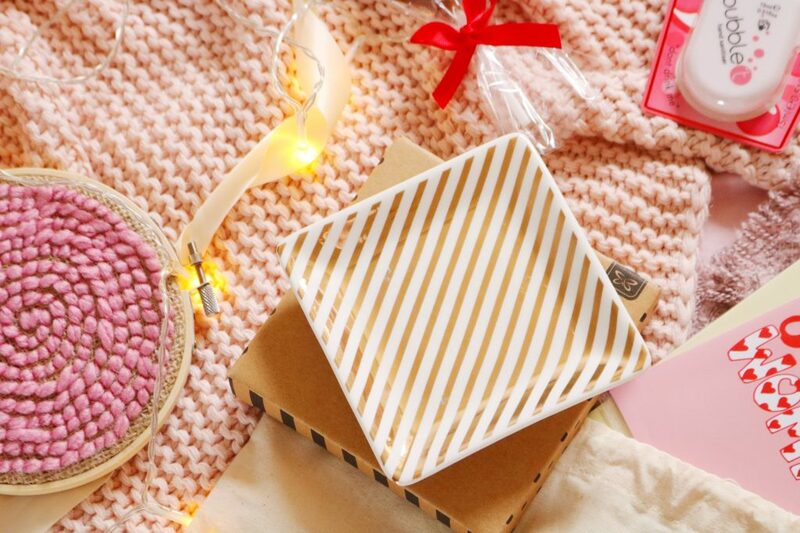 One of my favourite subscription boxes I’ve received so far this year has to be the February Treatbox! 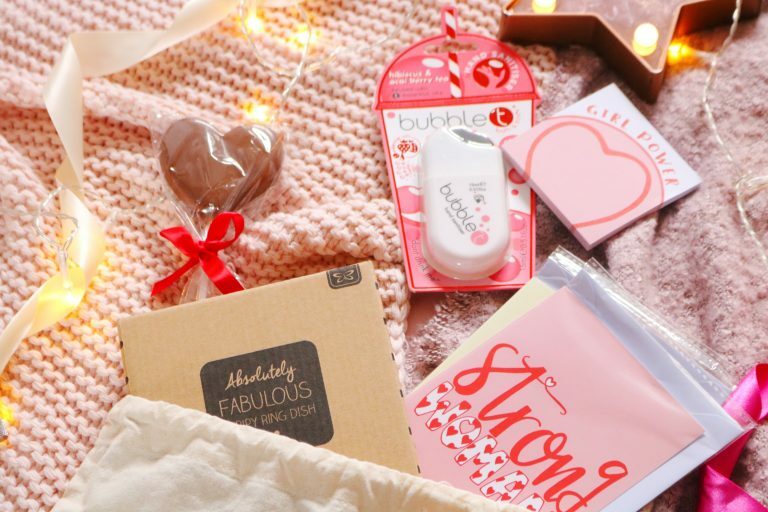 The box contains so many gorgeous valentines day and galantines day themed items. The products range from homeware, accessories, stationery, snacks and more. I think this might be one of my all time favourite Treatbox selections! Sadly, the first item is one that I can’t use due to the eczema on my hands but I adore the packaging and I’ve tried the bath bombs from this brand and loved them. 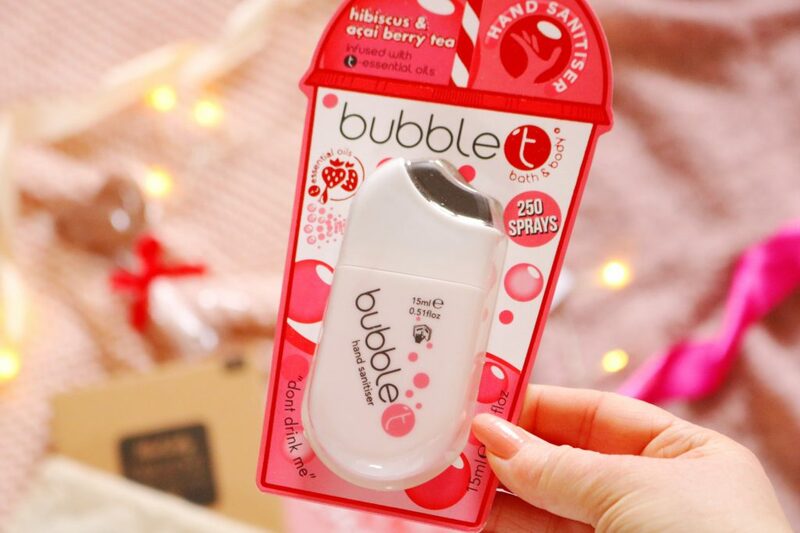 The hibiscus and açai berry tea range smells heavenly – the first bath bomb I tried from Bubble T was from this range. It looks like a great, travel friendly and slim hand sanitiser. 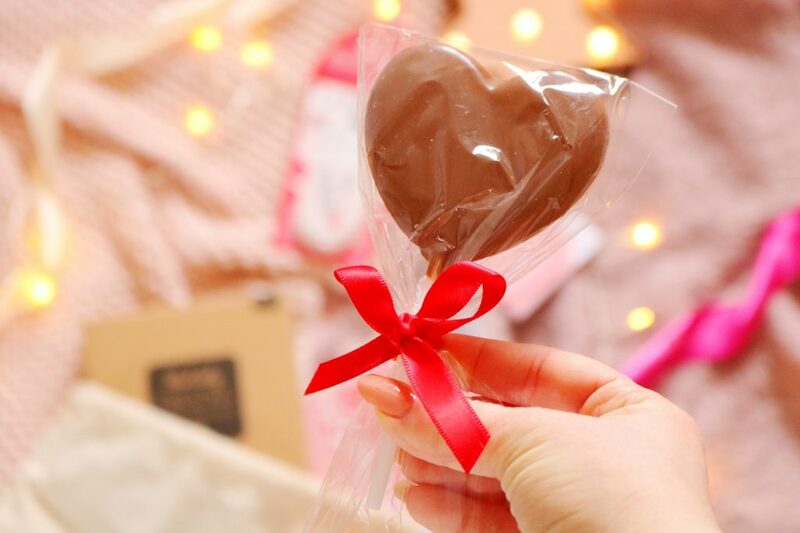 As it is the month of love, there’s a cute milk chocolate heart shaped lolly within the February box and it’s tied with a bow. I’ve switched my diet to a fully vegan diet now so I’ll be passing this onto a friend but it does look very cute. It reminds me of the chocolate lollies I had growing up from Thorntons! There were two gorgeous greeting cards within this months box which is perfect as I’m making up a couple of galentines day hampers for friends. The card designs are so cute, as everything in this box is! I think my favourite item from the box has to be this cute pad of sticky notes from Bic. 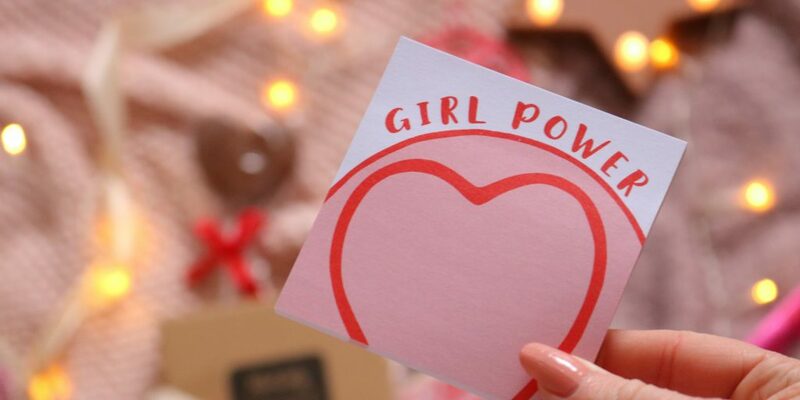 I adore the almost Love Heart design with ‘girl power’ printed on the top. I also love the colours, this whole box is very well colour matched! Stationery is one of my weaknesses so I’m glad to have more, especially as it’s so cute. The penultimate item matches the design of the sticky notes, it’s a cute ‘love’ drawstring bag. I use bags like this as storage for smaller travel items, shoes and toiletries so I’m always happy to add another to my collection. I might use it for shoes when I visit London next week. Last but not least is a gorgeous homeware item which fits my photography style and decor very well. It’s a gold striped trinket dish that could be used for anything from jewellery, keys, hair accessories to stationery, coins and more. Overall, I absolutely loved this months box! Overall, I think this months box has been one of my favourite boxes ever from Treatbox! My favourite item include the sticky notes, trinket dish and the drawstring bag.